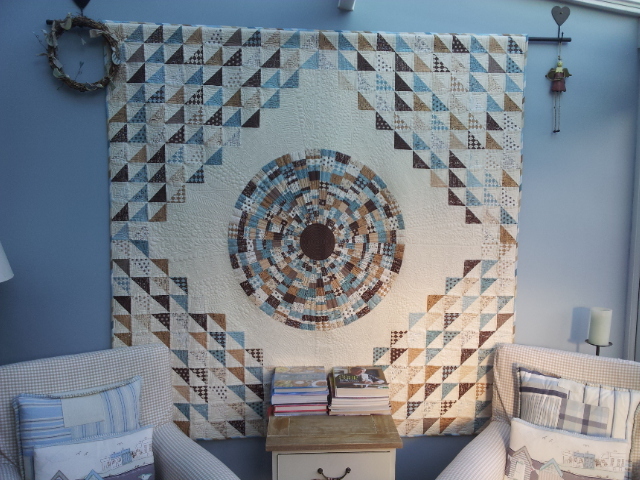 Longarm Chris: The dining room wall that needed a quilt! Love the quilting on the Stargate quilt! As for those nasty sandwiches, option 1, knock on all the doors and ask who's doing it. Option 2, wait for it to happen again, then throw a little neighborhood potluck. Casually point out the disgusting pile of goo on your ceiling. Hilarious, love your sandwich story, had me in stitches! 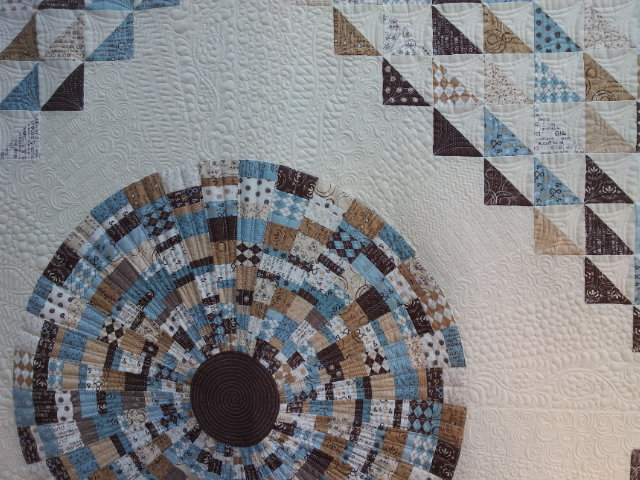 Love the quilts too, of course. Unless the birds thieve them? That would be a better thought than someone just sticking a whole sandwich out. 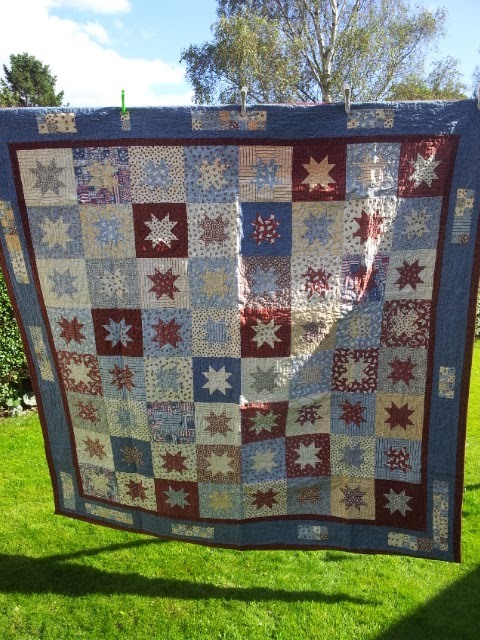 I like both quilts!